An Industrial visit of Postgraduate Chemistry students was organized by Faculty of Physical Sciences, SGT University Gurugram to Sphaera Pharma. Pvt. Ltd., IMT Manesar, Haryana on 19 April 2017. Sphaera Pharma. is a global drug discovery and development organization. 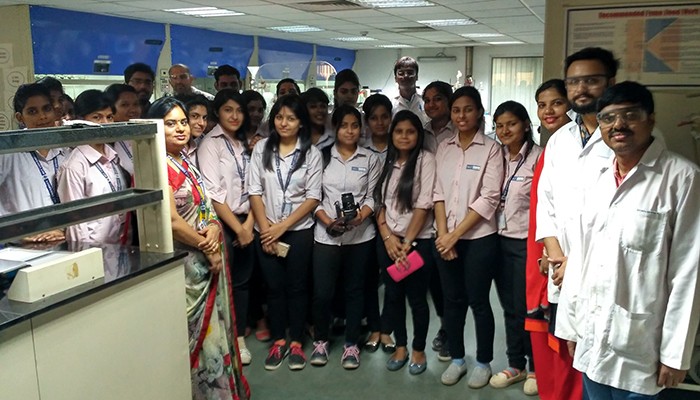 Dr. Nisha and Dr. Anjali Gupta from Department of Chemistry coordinated the visit. Students visit the Medicinal Organic synthesis lab, research scientists at Sphaera Pharma explain the basic techniques and principles used in synthesis. Followed by the visit to the analytical section where students witness the HPLC, LCMS, NMR, IR, and officials of the company explain the working and principle of these instruments to the students. This made our students to know the importance of Chemistry in the pharma industry and also help them to understand the correlation between theory and practical application. The student was very happy and felt enriched after visiting Sphaera Pharma Pvt. Ltd.